The Graco Pack n Play with Newborn Napper, AKA the Graco Pack n Play with Newborn Napper Elite, can be adapted to suit your child’s needs as he or she grows. 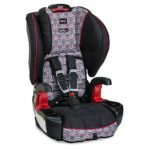 Stylish, with a durable frame that ensures longevity and your baby’s safety and comfort, it will look great in any home, from traditional to modern. A combination napper/bassinet/diaper changing table/portable play yard, you will find it indispensable, whether your little one is in the newborn, infant or toddler stage. A built-in electronics module will soothe and entertain your baby. And, when it’s time to visit friends or relatives, the Graco Pack n Play can be easily folded at the push of a button, then conveniently stored in its carrying bag. Keep reading to find out more about the specs, key features, pros, and cons of the Graco Pack n Play with Newborn Napper Elite. Dimensions & Weight – The Graco Pack n Play with Newborn Napper has an overall height of 33 1/3″, a width of 28 1/2″ and a depth of 40″. It weighs 29lb. 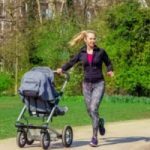 Recommended usage – The napper and bassinet can accommodate a baby weighing up to 15 pounds who cannot yet roll over on their own. The changing table is suitable for infants weighing up to 30 pounds. The play yard suits young children up to 35 inches tall. Taking into account how quickly babies grow, the changing table of the Graco Pack n Play Newborn Napper is more spacious and sturdier than most similar products. You will be able to use it until your child weighs 30 pounds. The elevated bassinet features a comfortable mattress pad with quilted sides. This setup provides the ideal environment for your little one to relax in and drift off to sleep. Airy mesh sides provide ventilation to enhance your baby’s comfort. The mesh also enables the baby to see out and mom and dad to keep an eye on them from across the room. 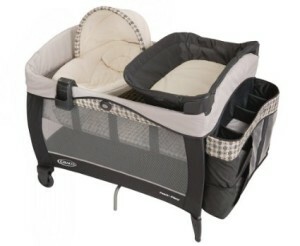 The Graco Pack n Play with Newborn Napper Elite has a large, detachable storage compartment. There is ample room to neatly store diapers, wipes, lotion or a light change of clothes. Having these close at hand saves going back and forth to get supplies every time your baby needs a diaper or clothing change. An overhead canopy does an excellent job of shielding your child from bright light. This environment makes for a more relaxed baby and more restful slumber. Babies tend to enjoy gentle stimulation and interaction. 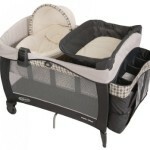 Aware of this, Graco equipped the Pack n Play Newborn Napper with vibration and an MP3 dock. This system makes it simple to plug and play your and your baby’s favorite tunes and sounds. 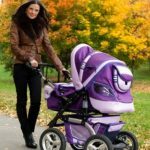 Battery operated, the vibration level of the napper can be adjusted to suit your little one’s preference. Transport wheels enable the Pack n Play to be easily relocated to another spot in the house if required. One of the many reasons the Graco Pack n Play with Newborn Napper is a favorite with moms and dads is due to Graco’s signature push-button system. The ultimate in convenience, it makes folding the play yard for travel, or to store, a breeze. The exterior storage compartment is on the flimsy side, so not suitable for holding bulky items. For this reason, it’s best to use it for storing diapers, baby wipes, and other light items. The vibration function has to be activated and deactivated manually. The napper and bassinet are only functional when attached to the Pack n Play. Though detachable, these consist solely of fabric. The structure of the main frame is needed to support your baby and keep him or her safe. 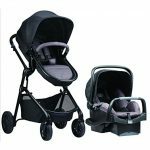 With hundreds of Graco Pack n Play with Newborn Napper Elite reviews published online, it has a lot of excellent feedback. The vast majority of purchasers love its versatility and the fact that they will get at least a couple of years use from it. Also much appreciated is the play yard’s easy setup, its folding ability, and its portability. Click the link below to find out more or to read more reviews. 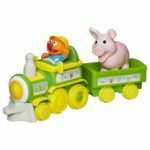 The owner of this website, Susan Butler, is a participant in the Amazon Services LLC Associates Program, an affiliate program designed to provide a means for sites to earn advertising fees by advertising and linking Must Haves for Baby to Amazon.com.